Heinkel was one of the great aircraft designers, responsible for some of the best German fighters of WWII. 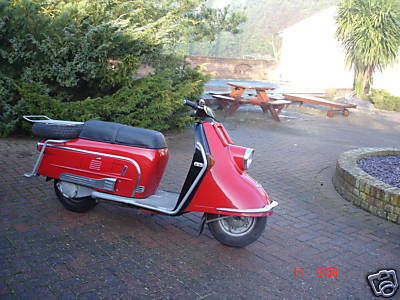 In 1949 they designed their first scooter but production did not begin until 1954 when the Tourist appeared, an advanced design with electric start, 4-speed gearbox and 12 volt electrics. In 1956 they began building the Kabine, a two-seater three wheeled bubble car inspired by the Italian ISO. The machine used the mechanicals of the Tourist with a fully enclosed cabin and weight less than 250kg. 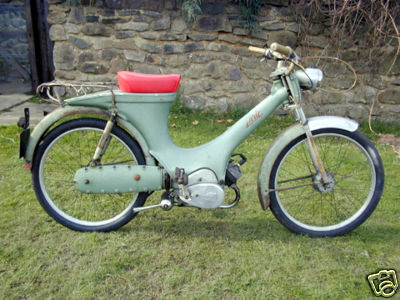 The Heinkel Perle moped was one of the best-made machines in its day, but when it was imported into Great Britain, the price was too high to compete with the market leader, the NSU Quickly, and all the other mopeds on offer. 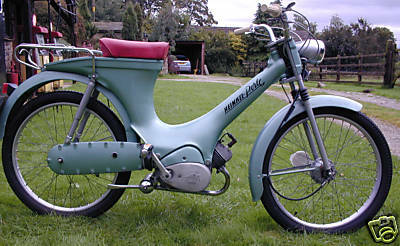 1961 Heinkel Tourist 103 A2 175cc. built by 1 of Germany's foremost airplane manufacturers, a very common sight on the roads of Germany in the 50's and often used by the police force. Reknowned for their reliability and longevity Heinkel awarded gold plaques to owners whose machines passed the 100,000 kilometres mark!! Powered by a 150cc overhead - valve four stroke engine these lovely scooters produced 9.2bhp and were good for around 57mph.